Julia abandoned Nate Taylor on their wedding night after finding him in the arms of her stepsister, Sara. Now she is set to marry again, this time to a man who shares her upper-crust background. But Nate won't sign the annulment papers. Ready to resort to murder if necessary, Julia storms Nate's houseboat in the Florida Everglades, just in time to survive an attack by a group of assassins Nate believes are targeting her. He should know; he's an assassin himself--a little detail he never shared with his ex. Nate works for a secret government agency known as OPS. With the help of his fellow assassins, Nate tries to identify the attackers and the reason for their deadly quest. Meanwhile, the reluctant travel companions flee north to Nate's eccentric hometown of Gibsonton, and later to a comfy cabin in the woods. Julia becomes better acquainted with her mysterious ex, the true man behind the gun. Seeing this new side of Nate, will Julia continue to resist the powerful chemistry between them? Will they solve the mystery before one of them is killed trying? 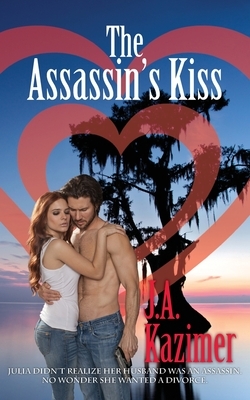 The Assassin's Kiss is the second book in the Assassins series, which began with The Assassin's Heart. The prequel to The Assassin's Heart is a novella titled The Assassins' First Date.